It's Word Filled Wednesday and I'm linking up with Amydeanne of The 160 Acres Woods. Spending time with the Lord is essential for me. Even though I'm a Christian, I still must contend with my flesh this side of eternity. So I make the daily choice to meet with God very early in the morning. If Jesus needed to take time to spend with His Father ...how much more do I? I pray, read chapters from my Bible and journal. He teaches me lessons and helps me to mature in my faith. As I look back in my writings I can see that ...He is faithful. 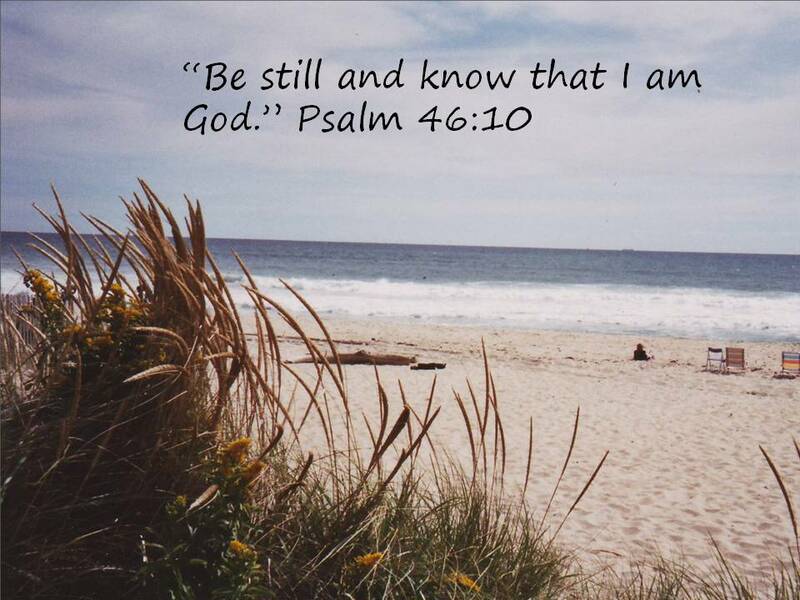 He will speak to your heart but you must ...take time to be still and listen. I took this photo on the beach of East Hampton on Long Island, NY. The battle of spirit and flesh so well written by the Apostle Paul (under the guidance of the Holy Spirit) I believe that if we would all be honest we have this flesh problem. I love the post and your direction to God's Word early in the morning. Lovely post and honesty in your words reflect His heart more and more! Lovely post and picture! Being still is one of the things GOd is calling me to do this season. You have a heart full of insights, dear Debbie. It is always a blessing for me to visit your place. Happy Syttendai Mai, my dear Norwegian friend. Where I need to be found this day... being still before my Father. There's a drain on me right now, and it's beginning to show. How I need the strength and joy of the Lord this morning! This is so true! And it has been so key to what's going on around me. Shared this with a couple of people just this week. On Syttendai Mai I was in Seattle having my traditional birthday lunch with my aunt and she said in the little Norwegian town of Ballard nearby they were celebrating,(ate heart waffles there once, yum!) Thought of you then and thinking of you now as you spend the alone time with God you need....I so need it too Debbie, it's a must, thanks for putting it out there. Wonderful post full of truth. It's so easy to get too busy, distracted, and tired and neglect the One who bends his ear to listen, wipes our tears, carries our burdens, and speaks love over us. Oh what a great post and reminder. I loved your photo and verse. I love the beach and would love to sit on that chair and Be Still. Thanks for sharing this. Psalm 46:10 is a very comforting verse. One translation (I can't remember which) reads "cease striving and know that I am God". When life and circumstances get us down, when we are doing everything we can to "fix" things, we just have to stop and listen for His direction. Your post is so true - Jesus spent time with the Father daily and yes, we despirately need that time also. Thank you for sharing and have a blessed day. Time with God is becoming a daily morning routine and I need that time EVERY day! 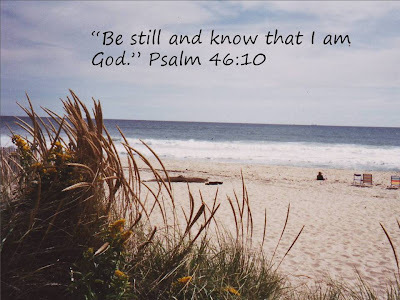 Stillness and quietness seems to be recurring theme God is bringing before me these days. Lovely phot. Amen! I love this verse. There is nothing more comforting then to sit still and spend time with the Lord.